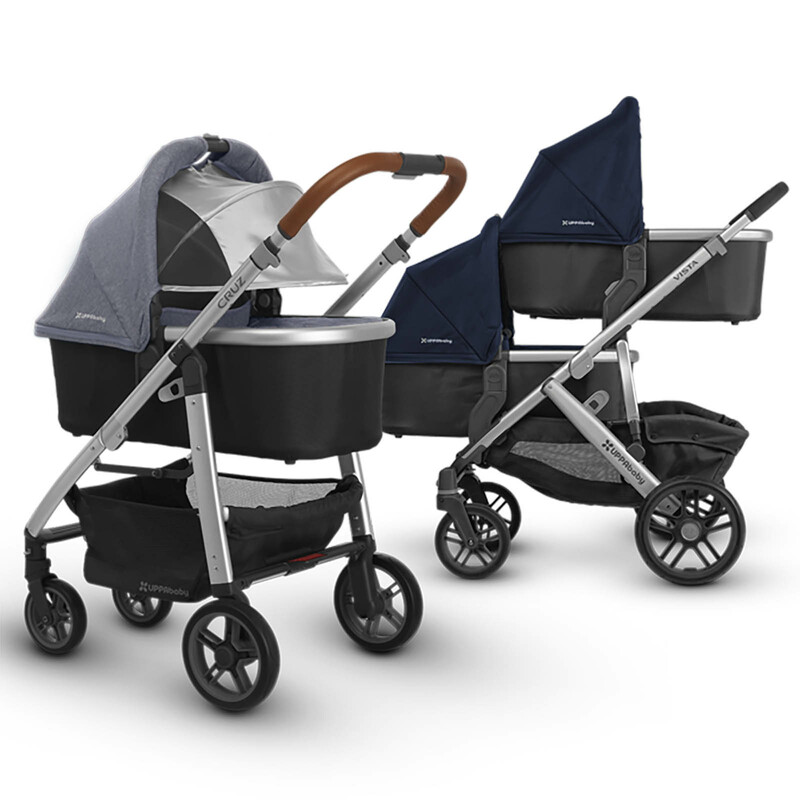 The Uppababy Carry Cot can be used to transform your Cruz pushchair (2015+) into a lie-flat pram that is suitable for newborns. It can also be used to add a second bassinet to your Vista pushchair (2015+) making it ideal for twins. Clipping into place on your chassis in replacement of the toddler seat unit, the carrycot allows your baby to lie completely flat and thanks to the soft breathable mattress and well-ventilated base, it is also approved for overnight sleeping. 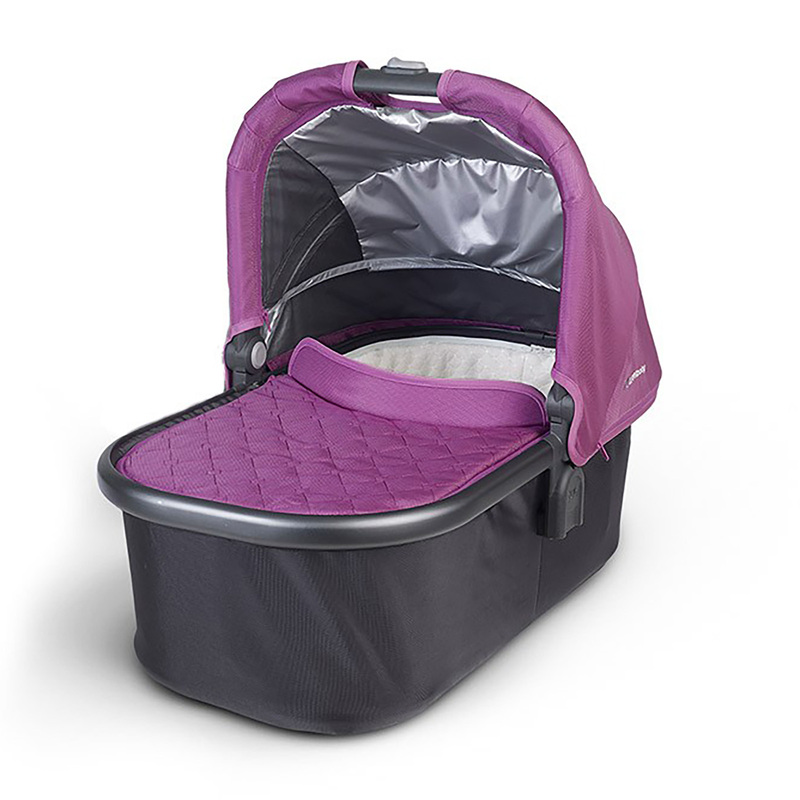 A handy bug-shield is included which helps to keep creepy-crawlies firmly at bay and the carrycot is also complete with a zip out liner and a machine washable mattress cover which both help to keep the carry cot in tip top condition. The extendable canopy features an SPF50+ drop down sunshade and a matching apron is included to keep you child warm. Both can be quickly removed for additional airflow.